← Bollywood and ‘The Asses of Gujarat’! On Tuesday, Hizbullah leader Sheikh Hassan Nasrallah warned the Zionist regime that if it dared to start a new war with Lebanon, Hizbullah is prepared to hit Israel’s nuclear stockpiles under the so-called ‘textile factory’ at Dimona. “We can turn the threat (of their nuclear capability) into an opportunity,” said Nasrallah. 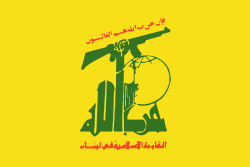 Hizbullah and Lebanese civilians are not surprised at Katz’s threat as they know by the past experience that coward Jewish soldiers love to targeting enemy civilians – from air and on ground. “Speeches by Hezbollah’s leader this week were aimed at making clear to the new administration of US president Donald Trump that the Lebanese group could strike US interests by hitting Israel,” reported Israel’s Daily News And Analysis (DNA) site on February 17, 2017. In 2014, former US president Jimmy Carter had claimed that the Zionist entity possesses 300 nuclear bombs stored underground at four locations. On Monday, French front-running presidential candidate Marine Le Pen met Lebanon’s president Michael Aoun who told Le Pen that if Israel attacked Lebanon it would suffer worse defeat than in 2006. He also noted that from the era of Imam Khomeini until the era of the leader Ayatullah Ali Khamenei, all of the Islamic republic’s initiatives have always been aimed at the liberation of occupied Palestine. The 2006 invasion of Lebanon was an attempt by Israel to eliminate the MAD counter force in Lebanon. It was an attempt that failed. Hizbullah had acquired low cost Russian AT-14 Kornet solid fuel anti-tank guided missiles (AGTM) and the Iranian trained Hizbullah commandos dug in massive numbers of concrete bunkers and firing positions. After over 50 Merkava main battle tanks were hit, and the high-tech American-made warplanes and pinpoint weapons proved ineffective, the handwritings were on the wall. Either use neutron bomb or lose a large number of Israeli soldiers to remove Hizbullah threat; or declare peace and walk away for the time being – the Israelis chose the latter (here). Watch below a video showing how the White House covered Israeli nukes.